The Mommy’s Sippy Cup ™ was created by Sharon Simons, the founder of the Mom at Last Community and the Author of the best selling book, Mom at Last: How I Never Gave Up on Becoming a Mother. 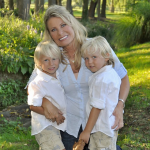 Sharon Simons, the mother of two sons, thought of the Mommy’s Sippy Cup ™ when she constantly kept spilling her drinks in the car while taking her sons to the many activities they were involved in, like soccer & lacrosse games, gymnastic practice and birthday parties. Sharon wanted to celebrate Motherhood while keeping her car free of spills, so she created the Mommy’s Sippy Cup with grapes created out of purple pacifiers and green rattles! The Mommy’s Sippy Cup ™ is BPA-Free and is the perfect gift for Mother’s Day or for a Baby Shower Gift. To find out more About the Mommy’s Sippy Cup™, visit our Facebook, Twitter or Instagram profiles! The Mommy’s Sippy Cup™ was also featured on the Today Shower with Kathie Lee & Hoda as one of their Favorite Things!